Sri Lanka’s Kumar Sangakkara scored 159 in 267 balls, inclusive of 18 fours and two sixes, for English county Durham yesterday. Durham played a four-dayer, which was to end yesterday, against Sussex in one of their Div. I matches of the ongoing County Championship, at Hove County Grounds. As Durham replied to Sussex’s 505 for nine with 393 for seven during midway of Wednesday’s play, the Lankan, coming in at No. 4, scored his ton in 202 balls in nearly four-and-half hours. He shared 110 runs for the third wicket with Scott Borthwick (84) to steady the innings before enjoying another 144 runs for the fifth wicket with Paul Collingwood who made 74. 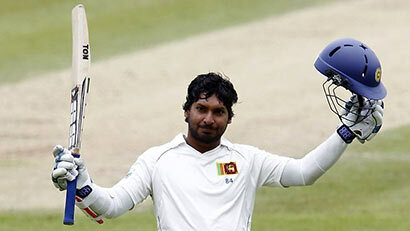 Sangakkara is expected to join touring Sri Lanka team on Friday when they play their second 50-over warm-up game, against Kent in Canterbury.